Yes, you can point to the cultural context all you want, but at the end of the day, Paul’s reason for what he says, is not the cultural context, but the very structure of pre-sin creation in which God created Adam first. This is something that’s true no matter the context. Now, I’ve said repeatedly that my egalitarian beliefs come not from desire to move away from the Bible, but my attempts to be all the more obedient to it. And so, I want to take this argument as seriously as possible. I’ll attempt to do that in these posts. As I started writing up the problems I had with this “creation-order” argument, it became so long, that I had to break it up into two posts. Today, we’ll focus on the particular Timothy passage in question and other related things that Paul writes. Tomorrow we’ll focus on the Genesis story itself to see what it might say to this. 12 I do not permit a woman to teach or to exercise authority over a man; rather, she is to remain quiet. 13 For Adam was formed first, then Eve; 14 and Adam was not deceived, but the woman was deceived and became a transgressor. Do you see the issue here? Paul makes this prohibition, and then gives his reasoning: Adam was made first. The Ephesian Church may have been full of any kind of heresy, conservatives say, but Paul’s reasoning is rooted in something outside of Ephesus, not in its own context. And with the traditional translation represented here, yes, this would make sense. But we’ve already talked about the translation issues here. The word translated “authority” here is not some sort of “good authority” that should be exercised by some in the church, but not by women. It’s a quasi-sexual dominance that also asserts oneself as the origin of someone’s knowledge, life, and even existence. Further, linguistically, many classicists believe that the words translated as “teach” and “authority” are connected by that word translated as “or”, meaning that Paul is actually expounding on the content of the teaching he’s forbidding. In other words, he telling women neither to exert this sort of dominance nor teach it. I forbid a woman to teach that she came first, or exercise some dominance over him, claiming she’s more enlightened than him, because Adam came first, and not only that, she was deceived–hardly bringing him enlightenment! …and then (with a straight face) still not see that Paul’s creation-order thing is in fact speaking to the context! Paul is directly addressing the specific heresy at play here. Reason: This is the grammatical use for “gar” that conservatives rely on. In this case, the “for” is explaining the natural cause-and-effect relationship between these two things. Adam was made first therefore, as is the natural result of this, women should not teach or have authority. Grounds: In this usage, the “for” is giving Paul’s grounds for why he said what he just said. This usage has nothing to do with an inherent cause-and-effect relationship; it’s merely explaining why Paul said what he just said. It’s not offering an eternal principle behind what he said, but, in my view, is explaining why what is being taught by those women is wrong and why they should stop teaching it. Transition: I find this one compelling as well. In this, “gar” is introducing a new topic. I find this interesting because it would make more sense of the verse after what I quoted above. It would read, (very) roughly: “Women shouldn’t teach this heresy or dominate men. Now, Adam came first, then Eve, and Eve was deceived, became a transgressor, yet she will be saved through childbirth.” In this case, Paul is actually addressing two different known heresies of the Ephesian church and the Adam stuff is addressing the second heresy, not the first. Thanks for indulging that Greek stuff, I hope it was somewhat helpful or interesting. But either way, my main point is that this “for” is not so cut-and-dry as conservatives want to make it out to be. Lastly (for this section), I often hear conservatives appeal to this creation-order part, but they remain silent on this whole “Eve was deceived” part. Not many of them expound on it or talk about how they practically apply it in their churches. I don’t see how you can accept so fully and simply the first creation-order part and think it’s an eternal principle, but then not let it follow that women are, to this day, still more “gullible” or “susceptible to deception”. No matter what you do, I can’t seem to find a way that you can separate this “deception” part of Paul’s reasoning from the first part, nor make sense of it in the complimentarian scheme. This is for several reasons. First, we don’t live in light of the fall or the deception of Adam and/or Eve, but rather the Atonement and Resurrection. Is Eve’s deception not covered by the blood, but Adam’s failure is? Secondly, all these women that are so easily deceived can’t teach men, but they can teach each other and children–those (apparently) most vulnerable to deception? Thirdly, conservatives often want to emphasize the “pre-fall” aspect in the creation-order argument, saying that this is something that was true, even before sin entered the world. But, in Paul’s reasoning for limiting these women’s role in the church, he gives two parts: creation-order and Eve’s deception. Only one of those is “pre-fall” and part of the “design” (arguably). You can’t appeal to the temporal aspect in one part of Paul’s argument, but disregard the second. How is it that conservatives–seemingly so concerned about being faithful to the Bible–don’t think they are applying two different hermeneutics to these two parts of the very same sentence in the Bible? I fully believe that the only way of consistently looking at both parts of Paul’s reasoning here is one in which Paul is addressing heresies that have to do with this very story in Genesis. He’s not coming out of left field with this random Genesis stuff as an appeal to a larger principle, but he’s directly speaking to specific heresies that contradict this story. Looking at his other writings, there are other relevant things that Paul writes that speak to these issues. Judge for yourselves: is it proper for a woman to pray to God with her head unveiled Does not nature itself teach you that if a man wears long hair, it is degrading to him, but if a woman has long hair, it is her glory? For her hair is given to her for a covering. I know many parts of the Christian family are consistent with these verses and do have their women cover their heads, but most of the most outspoken complimentarians out there do not enforce this in their churches, and they say that coverings in Corinth were a cultural issue, and this is not an eternal decree. After all, Jesus probably had long hair. We’ll give a fuller treatment of this text and talk about what egalitarians think about it another time, but in the meantime, can any conservative give me a real response to this? I honestly can’t find one. Next, Paul only makes one other reference to Eve in his known writings, and it’s in 2 Corinthians. 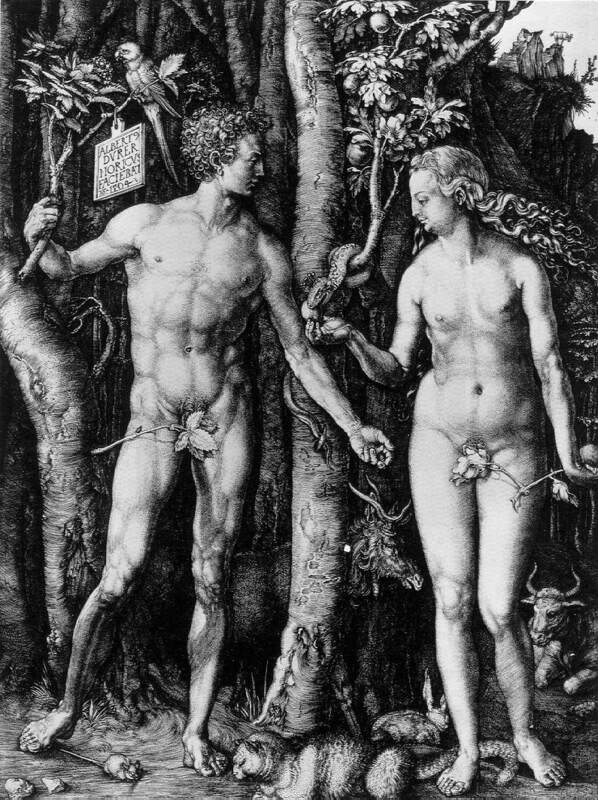 In it, Paul appeals again to Eve’s deception, but uses her as a general example of being deceived–an example that both men and women can learn from. Paul does not, in these verses seem to point to Eve’s deception as having any unique application for women or their place in the church or leadership. It’s a general principle against deception, similar to the deception that the church in Ephesus was under in Timothy. It’s an apologetic against anyone–male or female–claiming special enlightenment or immunity from deception. Lastly, and in conclusion, Paul’s fullest treatment and appeal to the Genesis story is in Romans 5. If you’re trying to talk about the long-lasting, ever present principles in creation that find their source in Genesis, Paul seems to put those effects squarely on the shoulders of Adam, not Eve. Eve makes no appearance in this chapter. But as deep, traumatic, and long-lasting the effects were, in Paul’s mind, of whatever happened in Genesis, they are effects that have now been upended and turned upside down by another: Jesus. The One in whom the walls of hostility, segregation, and limitation between us, male and female, have been destroyed. Let us continue this discussion in that same spirit. Tomorrow. ← What’s With All the Instagram Shots of Your Lunch?